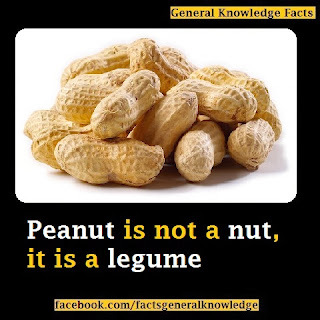 Peanut is not a nut despite its name and appearance.It is a legume.Peanuts grow underground unlike nuts like walnuts,almonds ,etc which grow on trees. Peanuts belong to. the family legumeocae .Which are edible seeds that are enclosed in pods. Peanuts are known by various names like earthnuts,ground nuts,pygmynuts,goober peas ,monkeynuts etc.I was first domesticated and cultivated in Paraguay.